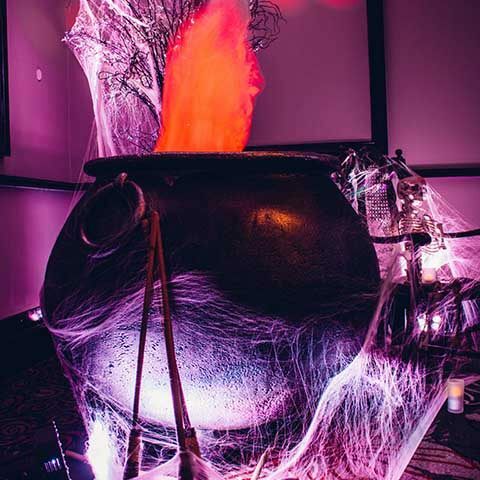 TOP 10 TIPS FOR THROWING THE BEST HALLOWEEN PARTY EVER! Seeing as its Halloween I thought I would make this the first blog post as it seems pretty relevant. Some of you will be attending, hosting or have been invited to a Halloween party this year and for those hosting a Halloween party here are a few tips to ensure that your Halloween party stands above the rest and wows your guests! A lot of people go OTT with Halloween party decorations which can be great or just verging on tacky (still brings out the big kid in us all). Never the less Halloween is all about being over the top and ultimately spooky. Obviously with Halloween parties you can take two routes.. The first being the classic creepy, gore and blood route which is great for a festive, cliché type event.. Or you can go for the glamour/stylish route which is a lot more modern and is very popular these days. In this blog I am going to address both so depending on what type of host you are – you will definitely be getting more of a treat than a trick. As previously addressed in my intro, you need to establish the angle you are going for and stick to it. You will need to ensure that the theme is conveyed throughout your event and most importantly the invite! I mean you don’t want the office clown showing up in a giant pumpkin outfit and the fashionista to come in Halloween couture! Of course you can throw it up in the air and just say come dressed as whatever you want but some lazybones may take this as a way out and barely dress up at all! Always go for it with the décor! I can’t stress enough how important this is! The decorations not only enhance the theme but add the extra wow factor for your guests and also get your event known about. If you have cool decorations people remember them, talk about them and take pictures with them, which is always good for cool points from friends or if it’s for a corporate event, promoting. This is a great time to add details (which are talked about in number 10) and really nail the unique aspects of your event. 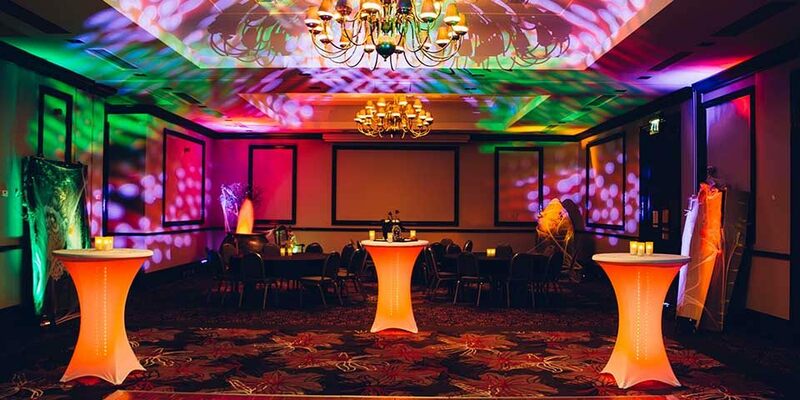 Getting this right can be essential for creating the vibe for your event. Of course if you are having your event at home this is more than fine but you can always adapt the space to make it spooky and more themed. Events from home can be enhanced by using a marquee attached to the house, these can be like a spooky cave and the guests can file into the tent and enjoy the abience and music (this also keeps people out of your house… *phew*) This will also provide more space for décor and can be enhanced with black sides to make it even darker, which if you are having lighting aswell can really make this stand out! You can also host games in the marquee which if this includes any kind of water or messy bits can save carpets/floors/sofas etc. For corporate events and higher budget events however hotels and manor houses can really add authenticity and the creepy factor for your party and this can of course be tailored with lighting, decorations and details to either personalise it to your company/name or leave an impression on guests. Often hotels can offer packages as well to suite different clients and usually have props and decorations on site to help with the themes, which is a total bonus! You can really take control with this idea and we use it in so many events, it is so diverse that it can suite corporate or private events! The projection works by allowing you to display motions, images or one constant screen throughout the event. It is a great idea especially for Halloween to have a themed video running of classic scary parts of movies (the bathroom scene from The Shining and the elevating girl scene from The Exorcist etc.) This is a great spooky extra and is a great visual for guests to look at and reminisce about their favourites! This can also be used to display pictures that are being taken of guests throughout the event and therefore everyone can get to see the costumes and ideas of the guests. It’s a good laugh and also a good way to remember the event! These can be a great icebreaker for corporate events or a good chance to get own back on family and friends! Games like “poison apple bobbing” or “crack the skull” can be great ideas! (Not real skulls obviously, just a pinata!!) These are so much fun and are in keeping with the theme. We obviously have hundreds of props accumulated over the years but many games can be made with household items that are gorified with paint, goo or decorations! Of course a lot of parties will have a DJ (even if it’s the boss of the iPod) but a lot of the time private and corporate clients invite an additional entertainer to attend the event! 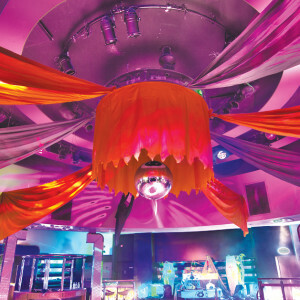 Ideas such as fire jugglers, magicians and flair bartenders are wicked additional features as they are all visually pleasing for guests and can be quite “on the edge” leaving your guests in awe and talking about your event for months and months! Being original is all about pull it out of the bag with something no-one would have guessed would happen/be there! Ideas such as having actors attending that will burst out into a routine when a song comes on or a Fright Night type thing where they jump out and spook the guests when they least expect it (refrain from doing this on guests with heart conditions.. it could get awkward!) These can really be memorable and unique and will ensure that no-one goes away without a cold chill down their spine at least one in the night! The last piece of advice from me is to ensure that you enjoy your party as well, even if you are hosting just relax and have fun! 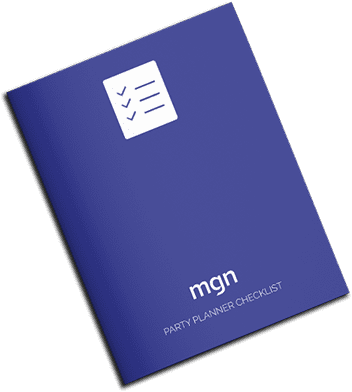 If you do need help with bringing your Halloween ideas to life myself and the team at MGN events are more than happy to help with any aspect of your Halloween event to make it extra special for you and all the guests!Thank you for reading my blog and I hope you have a spooktastic Halloween party!